Finale is a game I’ve had for years and have never managed to play it…until now. 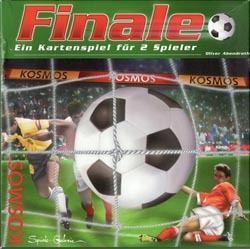 It is one of the classic Kosmos two-player range. Each player has a similar set of player cards and sets out 11 players in their choice of formation. They also have a set of tactic cards and on each of the six turns, players choose a tactic card and compare the values. The higher value attacks with a combination of players as shown on the tactic card and the defender picks players to defend. Dice rolls are added to the strength of each side and if the attacker breaks through on goal, a similar process establishes whether a goal is scored. each turn represents 15 minutes of play so after six turns, the final whistle is blown and whoever has scored more goals wins. However, if it is tied, extra time is played over two further turns and if then still tied, penalties ensue. 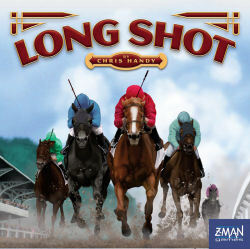 Chris and I played tried this tonight and had a good time as it was pretty close throughout. Chris took the lead in the opening minutes but I soon equalised and managed a second just before the half time whistle. Into the second half and I was reduced to ten men following a cynical foul on Chris’s goalkeeper, who had to be substituted. He then marched down the pitch and made the extra man tell and tie the scores at 2-2. Mid way through the second half, Chris took the lead while the bad luck for goalies continued and my keeper got injured and had to be replaced. With whistles from Chris’s crowd for the final whistle resounding around the ground, I managed a counter-attack in the closing minutes and put the ball in the net to make the score 3-3 after 90 minutes. The opening half of extra time was an ugly affair and Chris’s team was also reduced to ten men but he did sneak a critical goal. My team tried everything to get the equaliser but with time running out, I was reduced to nine players after one of my defenders received a second yellow card. Chris managed to play out the remaining minutes and recorded a good win 4-3. 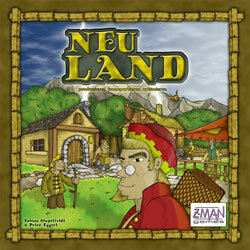 There were only three of us this week so I decided to try Neuland, produced by eggert spiele and Z-Man games as it was reported to be best with three players. That’s probably true because a four player game would have ended up even more tedious than this session turned out. It’s not that the game was bad; it just seemed like too much work and very little fun. Someone hinted that the lack of fun made it the perfect game for ‘no-fun’ Nige (can’t remember who said it) but I think Nige would actually have hated it with a vengeance. The game involves working down a production tree, using basic resources to produce something that is then used for something else which can then be used in combination with another resource to produce something else. Once you get far enough down the production tree, you get to produce something for victory points and once someone has claimed 12 VPs, they win. Unfortunately, there is little you can do between turns and although you try to set yourself up for your next turn, things can change and you need to work through your various actions from scratch. That said, there is quite a bit of planning you can do but there seems very little that can be put down to clever play. You pick a branch of the production tree to go down and then optimise your actions accordingly. And the branches are too long in my view. The game works but it is just too dry for me. The one aspect that I did quite like was the turn order track in that, like Thebes, the player furthest behind takes the next turn. Hence it is possible to engineer that you take two turns together or before your main rival. In our game, it was pretty close between Mark K and me but once it became obvious that I was bound to win (this being after two and a half hours), we decided to stop with possibly another 10 or 15 minutes still to play. Basically, we found it too long overall, player turns were too long so plenty of downtime even with three players and no real spark to make it fun. One for the Ebay pile, I think. The new issue of Counter arrived yesterday and, as usual, it looks to be full of interesting stuff. 25 reviews includingÂ a few that will be worth looking into further: Der Schwarm (Kramer/ Kiesling), Livingstone, Masters of Venice and Tulipmania 1637. There is also an outline of the various expansions included in Alea’s Treasure Chest, which celebrates their tenth anniversary. 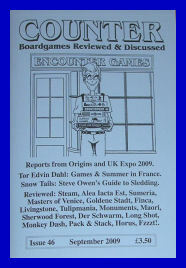 Steve Owen contributes an article on strategy in Snow Tails which I still need to read and there are articles on the UK Games Expo by Kendall Johns and Alan How. Several other articles including six pages of letters complete this quarter’s 84 page issue. 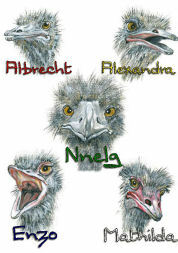 “Play as either Albrecht, Alexandra, Enzo, Nnelg or Mathilda as you race for glory through the African savannah. However, winning the race is the least of your worries. Cheetahs will try to eat you. Crocodiles will try to eat you. Warthogs will probably try to ignore you. Elephants are just in the way. The less said about porcupines the better. The game is for 2-5 adventurous flightless birds. It plays quickly and can be learned in minutes. Players have their own deck of ostrich cards from which they draw a hand of four â€“ these are used to move your ostrich along coloured ostrich footprints. You must end your turn on a footprint which matches the colour of the card you played. In addition, bonuses can be received at water holes. These include â€œWhacky Wings,â€ â€œBoinnngggâ€ and â€œNeckstretch.â€ Some are for one-time use while others allow a benefit for the rest of the game. 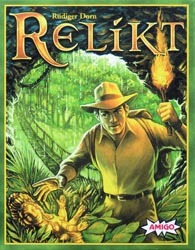 The game is being produced as a limited run of 1,000 copies and it will cost 23 Euros at Essen. A pre-order facility is available. More details can be found here. This is a good list of nominees. I’ve still to play Automobile but I have been through the rules and it looks like a typical Martin Wallace game and deserves to be nominated. Space Alert would not have been on my list as the real-time aspect is something that doesn’t press my buttons, although I do own it and have enjoyed my only game so far. I don’t begrudge Snow Tails appearance on the listÂ as it is good fun but I do still prefer Powerboats as the 2008 race game of choice. I’m a bit embarassed that I’ve only played one of this list, the excellent Kamisado, but I would like to try the Pillars of the EarthÂ Duel game and will be looking out for it at Essen. The results are likely to be announced around the end of September with the awards being presented at Essen in October by my friend and gaming luminary, Greg Schloesser. Four of us tried this Amigo card game designed by Rudiger Dorn tonight. It played ok but was a bit long for what it was. Basically, at any one time, there were four treasures up for grabs, some of which gave positive points and some negative (although the negatives could be turned to positive by subsequently winningÂ an identical negative card). From your hand of four treasure cards, you play a single card in either your or an opponent’s colour against one treasure. You also can play an action card, which essentially alters the normal rules and either helps you or hinders someone else. After a certain number of cards have been allocated to a particular treasure, it scores for the person with the most points of their colour placed against the card. Once all the treasure cards have been won, the person with the most net positive points wins. Once we got into the swing of what we were trying to do, the game ran reasonably smoothly but there didn’t seem to be too much forward planning one could do. Each turn was basically optimising a gain for yourself or hitting somebody else. For a quick card game, it seemed to take a bit too long overall but, with four, there didn’t seem too much downtime between turns. In our game, Rebecca and I seemed to be trading blows to knock each other down, although Jan was definitely doing her best to make sure I didn’t prosper. In the end, Catherine edged the win, although Rebecca did really well in transforming her negative cards into positive points and only ended up one point behind the winner. Jackson Pope has just announced that the latest Reiver Games release, Sumeria, is to have an expansion to allow two players to play instead of 3-4 players. Now, whether technically this represents an expansion or contraction is unclear, but for those who have trouble getting more than two players to their game nights, this could be a useful development. 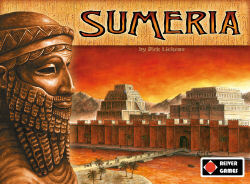 The expansion will be released as a promo at Essen, available free with a purchase of Sumeria at Essen. It will also be available to purchase at Essen for 2,50 Euro, or for sale fromÂ the Reiver GamesÂ website for Â£2 plus shipping and handling. This year’s Spiel game fair at Essen takes place on 22-25 October 2009 and I’ve just organised my flights and hotel. As usual, I’m just staying for two days / one night but, in a change from the last few years, am actually staying at the Jung Hotel – which was a bit of a surprise as Warfrog normally has it completely booked up. However, unless Expedia have managed to mess everything up (still possible), I appear to have a guaranteed reservation for the night of 22nd October. Right, time to start planning what I’m going to be looking out for while I’m there – and seriously concentrating on reducing the unplayed list, before it goes up by another 20 or so. The latest issue of Spielbox landed on the doormat at the weekend. Included in this issue were reviews of Dominion: Intrigue, Die Goldene Stadt, Flussfieber, Cities, Fruit FairÂ and Einauge Sei Wachsam all of which I’ve played. However, Cartagena – Die Meuterei and Dixit both look interesting. Also included were a free expansion card for Planet Steam (which I’m unlikely to use) and an extra pie slice for Aber Bitte mit Sahne, a game I’m planning on picking up at Essen. 10Â games no longer unplayed (Circus Maximus, Ticket To Ride: USA 1910,Â Fjords, Palastgefluster, Murdero, Canal Grande, Die Goldene Stadt, Royal Palace, Long Shot and Straw). If all goes to plan, we should get below 100 unplayed by the end of August but I’d rather be closer to 90 in view of the fact that Essen is drawing closer.